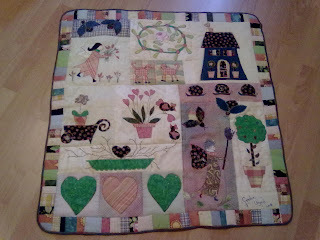 I won the Weekly Quilt Contest Baby Theme. I want to thank all the people who voted for me. A BIG thank you! When my price is arrived I'll take a picture and show it. I'm in a contest. My first one. I first discussed it with Vicky. Vicky such a lovely lady and I'm proud that she is my quilting mentor. 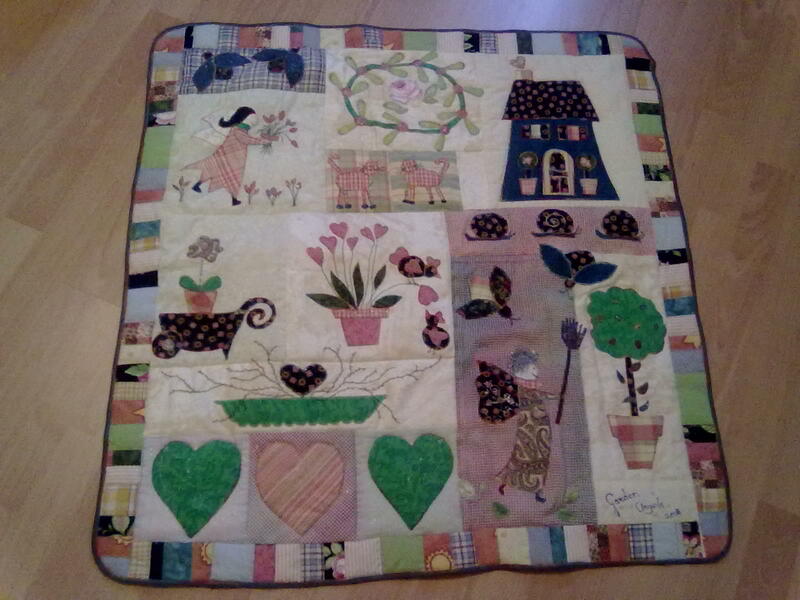 I'm in with the Garden Angels Baby Quilt. Offcourse I hope I win this round. It's so exiting! For the people that voted for me, thank you so much. Please let me now if you are in a contest too, maybe I can return the favor. Welkom bij MaksiTaksi. Graag wil ik jullie laten zien wat ik maak. Ook komen op deze blog leuke dingen die ik elders op het www gezien heb of dingen die we hebben beleefd. A very Welcome at MaksiTaksi. I started this blog to show you the things I've made. On this blog I also put some funny stuf I found on the www and things from our life. Make old ugly blinds new! Make you own glue ModgePodge like. All of my work (like photo's, artwork, text, ideas, crafts, patterns etc. ) represented here, and elsewhere is protected by copyright. You are very welcome to use my patterns, tutorials, pdf's, if you are saying it comes from MaksiTaksi Design and you may use it only for personal use, but not for commercial use. Thank you! werk van MaksiTaksi is in licentie gegeven volgens een Creative Commons Naamsvermelding Gebaseerd op een werk op www.maksitaksi.blogspot.com.